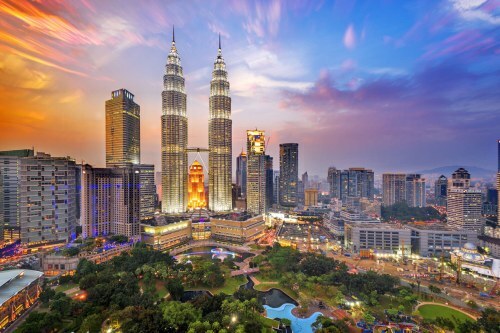 China Eastern has dropped the price of some of their flights from Vancouver to Kuala Lumpur, Malaysia down to between $490 and $530 CAD roundtrip including taxes. The flights have 1 stop each way in Shanghai, China (3.5 hour layover on the way there, 6 hours on the way back). NOTE: Once your search completes on Momondo, you should slide the 'Max Duration' slider on the left down to about 50 to see these flights. vancouver, yvr, flight deals, asia, southeast asia, china eastern airlines, kuala lumpur, kul and malaysia. One Response to "Vancouver to Kuala Lumpur, Malaysia - $493 to $530 CAD roundtrip including taxes"
Argh! WE just booked 3 tickets on Saturday morning as we were not expecting it to come cheaper. All searches were showing prices going up & we could have saved $100 per tix! Booked thru flighthub & they don't do price matches unfortunately.